It's Friday! Our kids survived their first week back to school and I know they're going to be doing some serious chillin' this weekend! Video games, tv, and food. Speaking of food...we are Mexican-food-aholics in our home...yeah, I may have just invented a new term...but it's true! We love Mexican. And while I love going out to eat, it's not something we do often because it's so pricey. When we can stay home, save money and have an amazing home cooked meal, it's a triple-win! I've come up with an amazing shredded chicken recipe that is made right in your crock pot...while you are at work or shopping or laying in the tub or watching Poldark on Masterpiece! It's so good in my Shredded Chicken Burritos as well as the Chicken Burrito Bowls that my family loves. It's truly a lazy woman's savvy cook's best friend...because you can throw in frozen chicken and it does all the work for you! 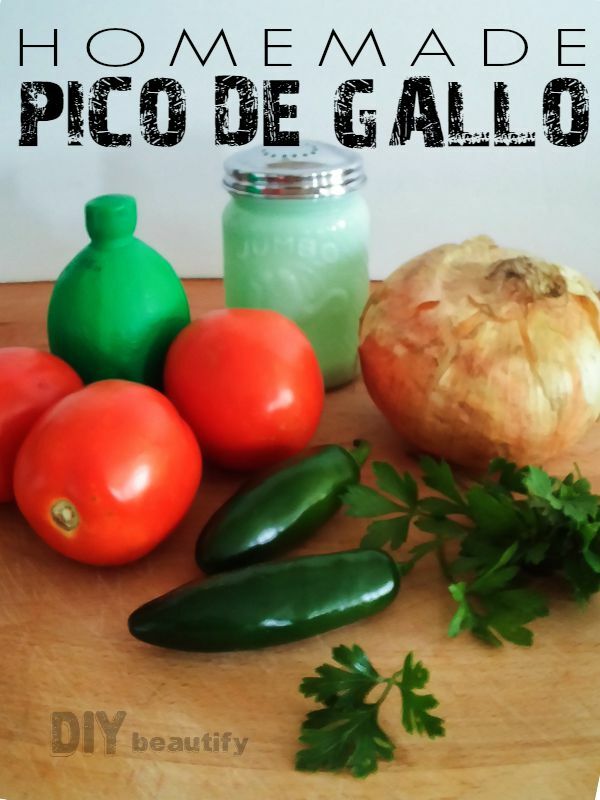 In my opinion, nothing tops off a Mexican meal like home made Pico de Gallo, also known as Salsa Fresca. It's fast, all the ingredients are fresh and it tastes SO good! Way better than jarred salsa! And in case you thought fresh Pico de Gallo was only to be enjoyed in the height of summer...read on, as you'll see that you can easily find all of these ingredients Any time of the year! Stir it well and let it hang out for awhile to allow the flavors to get really happy together. 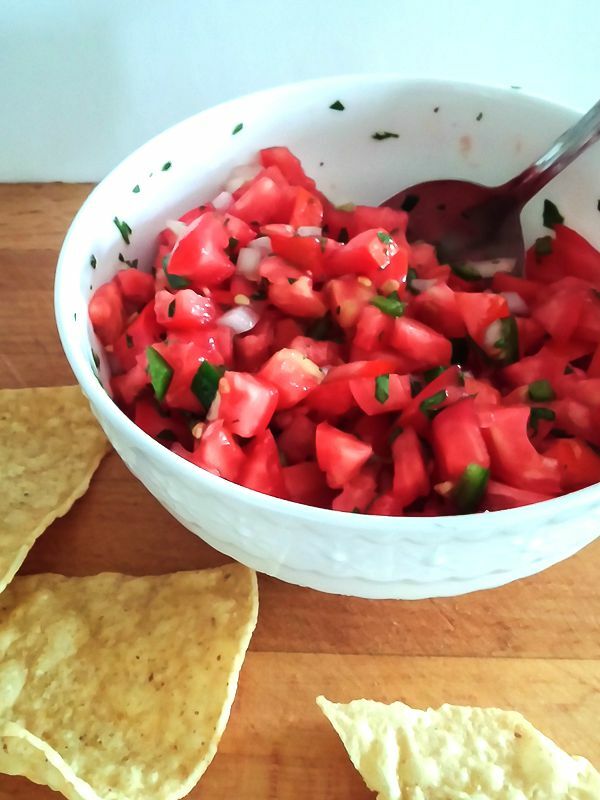 I could eat a bowl of tortilla chips and my home made Pico de Gallo for dinner and be happy! 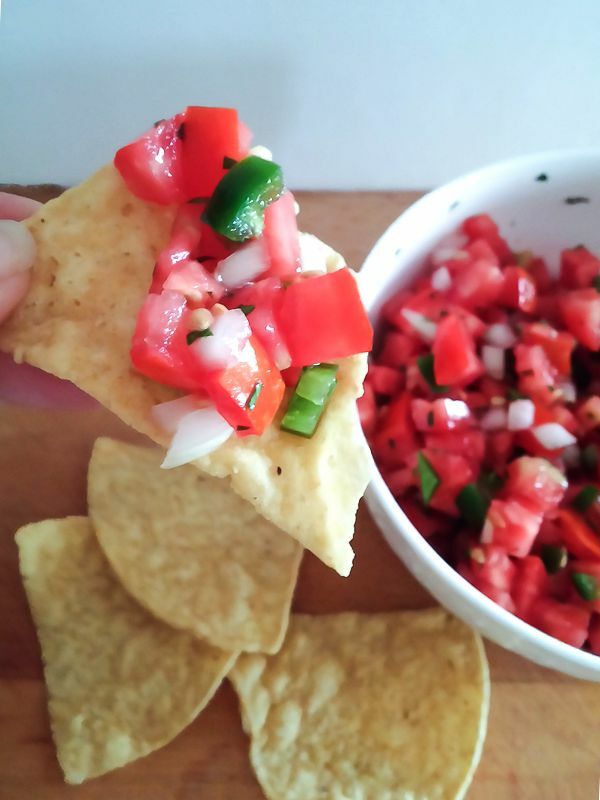 Our favorite chips are On The Border, which you can find at Sams Club. If your family requires something more substantial (as mine does), grab the recipe for Chicken Burrito Bowls and serve it as a garnish! 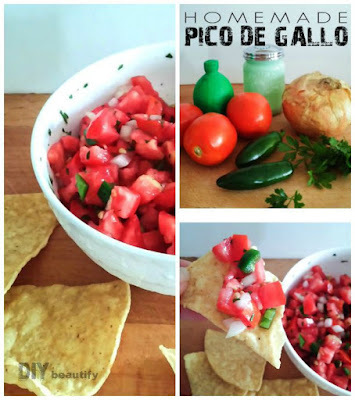 Forget the jarred salsa! 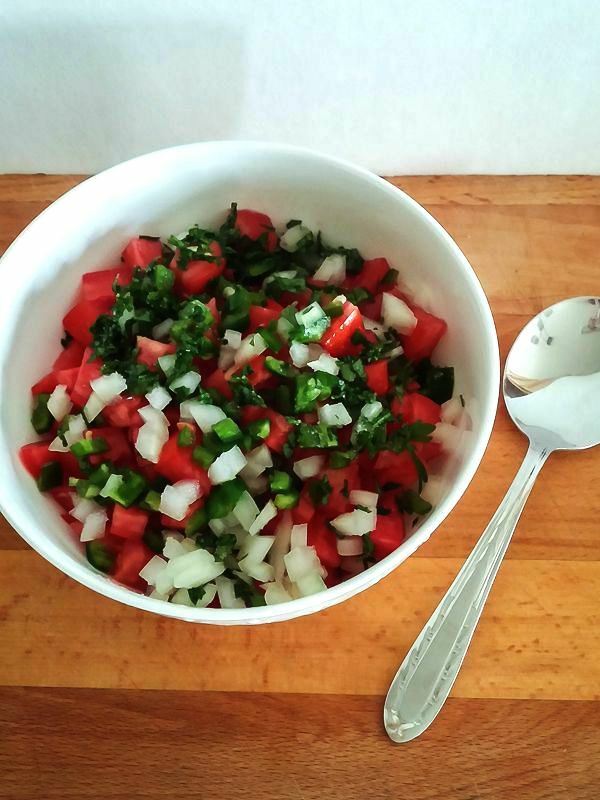 If you are a Mexican-food-aholic too, I'd love for you to come back and tell me how you enjoyed this recipe for Pico de Gallo. As always, feel free to Pin and Share with your friends! I'll see you back here on Monday, for more home-y goodness!